Holy smokes, it's nearly July already! I am due in about three weeks....THREE weeks until baby Orrin will be here! This pregnancy hasn't been too difficult for me, especially compared with my last two pregnancies. I have been very thankful. There can be many pregnancy issues that women deal with, thankfully there are also some solutions to those issues as well. One thing I see most on some of the "mommy boards" that I belong to is constipation. True story. It's an uncomfortable issue, both to talk about and to experience! But, really, with the extra iron in prenatals (and possibly extra iron on TOP of those prenatals), AND a more sluggish digestive system...some women just need some help. 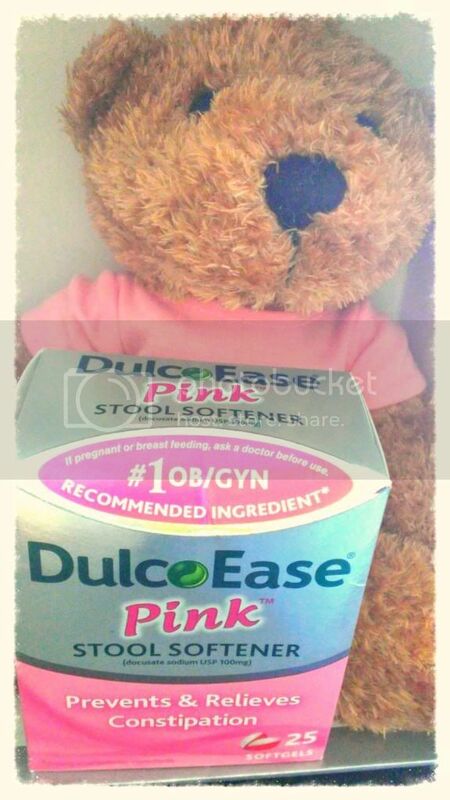 That's where DulcoEase Pink can come in handy. A stool softener can help make your day a little...easier. As always, ask your doctor before you take any medication, especially when pregnant or breastfeeding! I've never had much issue with this when I was pregnant....but let me tell you, when I was recovering from my c-sections. Oh the pain, oh the discomfort! The pain medications and the sluggishness of my system made things so horrible! I was very glad for my stool softeners, and it is one thing I recommend to ANY mother who has (or will have) a c-section! What is something that you wish you would have had (or think you should have) in your new mom tool kit? Check out the link below for more stories and click on the big pink circle to get a valuable coupon!